How safe are EVMs? Are your votes correctly processed by the machines? Before we go into the pros and cons of EVMs versus ballot papers, let us understand the two. In the traditional Ballot Paper voting system, the votes were cast by the means of the papers in which the voter used to vote by marking the ballot paper with a rubber stamp on or nearby the symbol of the candidate as per personal choice, the voter then folds the ballot paper and put it in the ballot box that used to be kept safe in the watch of allotted officers and polling agents of the candidates. Papers voting was earlier supposed to be the cheapest way of conducting the voting process. It included least expense and complexities. But since 1998, the Commission has increased the usage of the Electronic Voting Machine system instead of Ballot Boxes. cable connects these both units, which has its one end permanently fixed to the ballot unit. The system is motorized by a battery pack inside the control unit. The balloting unit has 16 candidate buttons and if any of them is unused, they are covered with a plastic masking tab inside the unit. EVMs are internationally known as DREs (Direct Recording Electronic) EVMs have been in universal use in India since the general elections of 2004 when paper ballots were completely out of trend. malicious code in the software or the possibility of malfunctioning of hardware or software? Are these EVMs foolproof? It is a fact that voters cannot observe the process inside the computer and must simply trust that the votes are registered on the screen is correctly processed by the hardware and software of the computer. Mere a paper receipt cannot rule out bugs or malicious code in the software nor it terminates the possibility of malfunctioning of hardware or software. Then there is the recount issue. EVMs systems have two ballots, one is the electronic record stored by the EVM and the other is voter-verifiable paper ballots printed by the EVM. Issues may arise about the authenticity of both the electronic and paper ballots when the result of the totals does not match. Also the accuracy tests and logic on EVMs are complex and troublesome. There are two methods in the first the election workers follow a script and enter test votes in an EVM via the touch screen which is surely time-consuming and expensive. The second method uses a test cartridge that is plugged into the voting machine to activate a human casting vote through the touch screen, this method is efficient but it is very complex for the one who is witnessing the test and feels perplexed to understand what this test is all about. A malicious EVM system can affect a huge number of votes. The sensors in the touch screen devices can lose the alignment by shock or vibration during transport. And unless the sensors are realigned at the voting place before the start of voting, those touch screen machines can misinterpret the voter’s intent at the time when the voter uses them for casting the votes. Using the Internet in the electoral process itself open the possibilities of hacking of confidential information. This clearly shows that the EVM Voting System has intrinsic security problems. It is vulnerable to frauds and hacking. Several countries of the world have refused the EVM Voting System because they all find it insecure and easily subjected to frauds, flaws, and manipulations. Developed nations like UK, France, Singapore, and Japan have so far followed the paper ballot system of voting finding it to be simple and verifiable. Countries like Ireland, California, Germany, and Finland have abandoned and rejected the E-voting for a long time back. Election Commission has maintained that it does not want to become a party to “this motivated slugfest”. After all these EVMs are manufactured in Bharat Electronics Limited and Electronics Corporation of Indian Limited under very strict supervisory and security conditions. Also, there are rigorous standard operating procedures meticulously observed at all stages under the supervision of a committee of eminent technical experts constituted way back in 2010. For quite some time, political parties had been making a hue and cry over alleged misuse of electronic voting machines by the ruling dispensation. The immediate reason for Election Commission to issue a rejoinder was a disclosure made by one Syed Suja recently at a press conference in London via Skype, claiming that the 2014 General Election was “rigged” through the EVMs, which, he said, could be hacked. Syed Suja also alleged that he fled India in 2014 because he felt threatened in the country after the killing of some of his team members. Soon after Shuja’s press meet, West Bengal Chief Minister Mamata Banerjee said the Opposition would take up with the EC the claims made by the cyber expert that EVMs can be hacked. 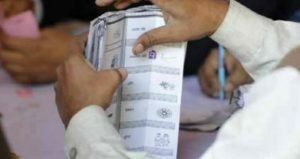 Recently 17 opposition parties came together to make a fresh, concerted demand that voters in the 2019 Lok Sabha elections exercise their franchise by stamping the ballot paper, not pressing the button, according to leaders of several parties familiar with the developments. Contending that electronic voting machines (EVMs), even those with voter-verifiable paper audit trail (VVPATs), would not be acceptable, the parties made a fresh appeal to the Election Commission of India. However, ECI has maintained that EVMs are tamper-proof, and that VVPATs provide an additional layer to guarantee that voting is accurately captured. 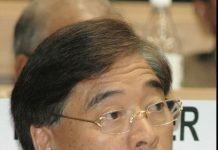 It has also repeatedly urged parties to refrain from expressing doubts about their efficacy. 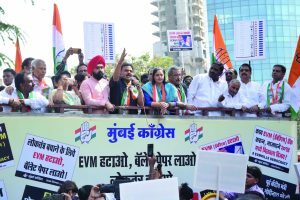 The demand to scrap EVMs underlines the aggressive mood of the Opposition camp. 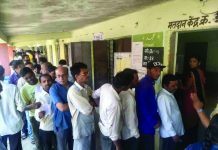 The demand for ballot boxes has also brought an unlikely set of parties together, even those warring against each other — the Trinamool Congress (TMC) and the Left, the Nationalist Congress Party and the ruling National Democratic Alliance’s (NDA) partner Shiv Sena, and the Telugu Desam Party and the YSR Congress, among others. Aam Admi Party leader Sanjay Singh and TMC MP Subrata Bakshi had deliberations on it. The AAP was among the first parties to cast doubts about EVMs after the Punjab Assembly elections of 2017. During her trip to Delhi, West Bengal chief minister Mamata Banerjee told every opposition leader she met to raise the demand for ballots in the upcoming election. Earlier, Sena chief Uddhav Thackeray too demanded that the 2019 Lok Sabha election be conducted using ballot papers instead of EVMs. 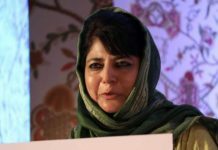 Some time back, while addressing an Opposition rally in Kolkata, National Conference leader Farooq Abdullah called the EVM the “chor machine” and demanded that the ballot paper system is brought back for the sake of transparency. However, now, the Chief election commissioner OP Rawat has made public statements ruling out reverting to ballot papers in elections, asserting that the new EVMs have been designed with more stringent checks to rule out tampering or manipulation. The EC has also communicated to the political parties to refrain from raising doubts about the efficacy and safety of EVMs and VVPAT machines when the poll outcome is different from what they expect. The BJP leaders opine that opposition parties only complain about EVMs when they lose elections. 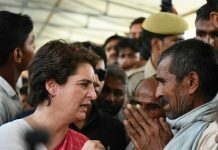 “They do not make a hue and cry when they win an election conducted through EVMs. These parties did not appear before the election commission when it invited them to appear before it and prove that EVMs can be tampered with. The problem, actually, is not with the EVM but with the intention of these parties.” But experts suggested that EC should work towards increasing voter confidence in EVMs. The CJI- led Supreme Court Bench has already rejected a plea seeking direction to EC to conduct assembly elections and Lok Sabha polls using ballot papers instead of EVM. The plea was moved to Supreme Court expressing doubts over how full proof the EVM process is. However, the Supreme Court refused to upset the status quo. 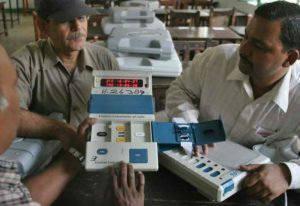 A bench headed by Chief Justice Ranjan Gogoi did not agree with the contention of NGO ‘Nyay Bhoomi’ that electronic voting machines are capable of being misused and they should not be used in the polls to ensure free and fair elections. However, CJI said that every machine is capable of being used and misused and doubts will be there with every system. At the same time, the Bench ruled that the current system is satisfactory. Arora made this observation while delivering the keynote address at an international conference on ‘Making our Elections Inclusive and Accessible’ hosted by the Commission. Speaking at the inauguration of the international conference, Arora reiterated the Commission’s faith in electronic voting machines and paper trail audit units and said the EC will neither be “intimidated or bullied or pressurized or coerced” into giving up them up. At the EC’s behest, the Delhi Police has registered an FIR against Shuja under IPC Section 505 (whoever makes, publishes or circulates any statement, rumour or report. ECIL, the same day, issued a statement denying Shuja was ever on its rolls. 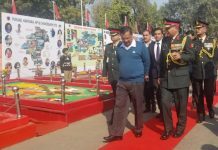 The company said he had never been associated with the design and development of EVMs in ECIL between 2009 and 2014. Despite the official denials, Shuja’s claims led to political parties, like the BSP and SP, questioning the credibility of EVMs. BSP chief Mayawati even appealed to the EC to revert to the ballot system while the BJP and JD(U) backed the continued use of the EVMs.